All too often people make the mistake of thinking that with the advent of social media marketing came the death of email marketing. This is far from true. Email is still a very important component of any small business marketing plan and there are very specific reasons why. 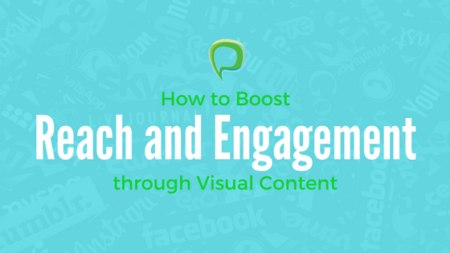 Email marketing is targeted and cost efficient. 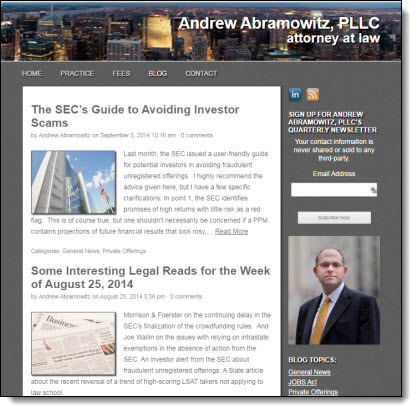 Our client, Andrew Abramowitz, is the founder of a small law practice in New York City. Needless to say, he’s got a lot of competition! New York is jam packed with lawyers — how do you distinguish yourself among so many other small business attorneys? Solo law practitioners and small law firms rarely have the internal resources to devote to marketing activities. For the most part, these attorneys have a standard brochure website comprised of attorney bios, practice area descriptions, and perhaps a list of books or articles published by the partners; static, uninteresting content that doesn’t give the reader much insight into an attorney’s personality and style, or demonstrate what he or she actually does for their clients. Don’t Replace Email Campaigns with Social Media Marketing: You Need Both! As advocates of social media marketing for small to medium business, we’re always pleased to see business owners who throw themselves whole-heartedly into feeding their Facebook, Twitter and Pinterest pages with interesting updates and content that excites their fans and followers. Unfortunately, many of these same folks neglect their email marketing campaigns, thinking that a strong social presence is enough to take the place of a monthly newsletter. 2011 was a wild year when it came to email marketing. 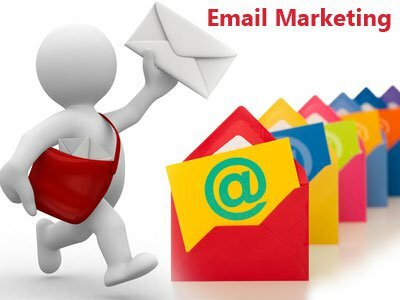 Article after article claimed that email marketing is dead, pointing out the many challenges that face email marketers in the coming years. Despite the predictions, many marketing strategists still believe that email is very much alive and continues to evolve. Business leaders tend to agree. 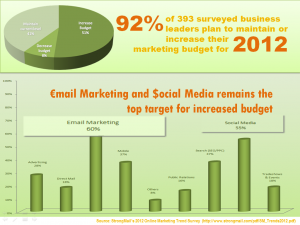 According to the 2012 Marketing Trends survey conducted by StrongMail, email marketing, along with social media, remain the top target programs for which business leaders are planning to increase spending for the third year in a row.